Not everyone can say they have an asteroid named after them. A small piece of the Solar System, between three to seven kilometres wide, circles the Sun between Mars and Jupiter with the name (26811) Hiesinger. 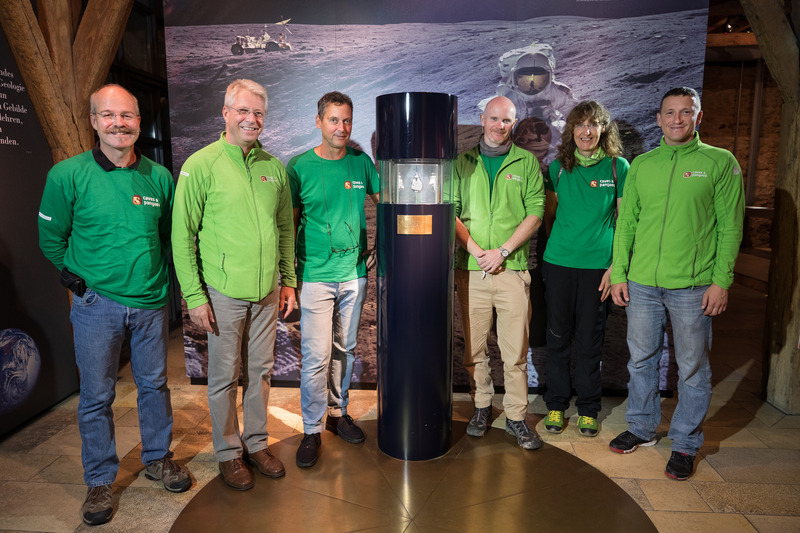 The International Astronomical Union gave Harald Hiesinger the honour of naming this piece of the Solar System for his research on asteroid Vesta. 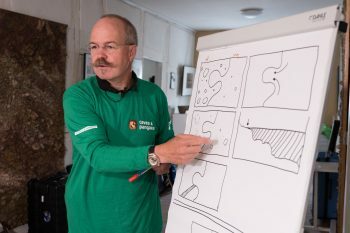 A professor of planetary geology at the University of Münster in Germany, Harald is part of the Pangaea instructor team. He teaches astronauts lunar geology and prepares them for their work on future missions. “It is fascinating to train astronauts to become the eyes and hands of scientists on Earth while they explore other planets,” he says. Harald participates in space missions to the Moon, Mars, Mercury and Jovian satellites. His research focuses on the mapping of planetary surfaces to learn more about their geology. 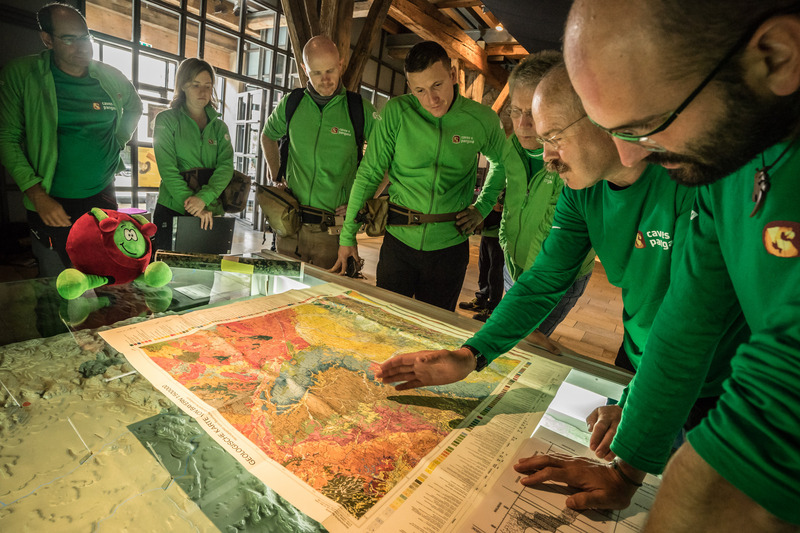 “Pangaea is a unique opportunity for me to contribute a tiny bit to the journey of exploration,” says Harald, who is also member of ESA’s Human Spaceflight and Exploration Science Advisory Committee (HESAC). “I enjoy working with other planetary scientists to convey useful, exciting, and inspiring lessons for the astronauts,” he adds. His lectures are combined with geological training in the field. Last week, the team of instructors spent some days exploring rock types at the Ries crater, in Germany. “It was beautiful to see how quickly the astronauts were able to apply the lessons learned in the classroom and perform geology research on the spot. I could envision well-trained astronauts making all sorts of valuable observations and running experiments on the lunar surface,” Harald says. Harald is actively involved in preparing for lunar missions, and shared his knowledge about Earth’s only natural satellite with the trainees. “The Moon is scientifically very interesting, and returning humans to the Moon will enhance our exploration and science capabilities,” he explains. This Pangaea instructor is also a science advisor for Heracles, a robotic mission to the Moon planned for the 2020s orchestrated by ESA, the Canadian and Japanese space agencies. Using a space gateway as a halfway point, a robotic rover will scout the terrain in preparation for the arrival of astronauts, as well as deliver lunar samples to Earth. “The Moon has high priority for our exploration strategy, and sending humans to the lunar surface is something we might accomplish in the near future,” he says. Until then, Pangaea will make exploration real – on Earth.